You might get interested to where is the place in the Philippines that has a tolerable air pollution. Air pollution will be taking estimated seven million lives around the world every year. Air cleanliness is measured in the amount of fine particles in the air, known as (PM2.5). Southeast Asia's most polluted cities in 2018 were the capitals of Jakarta and Hanoi, with a number of Thai cities also ranking highly in this region. PM2.5 is the particles in the air that measures up to 2.5 microns in size, which is potential to respiratory problems. Common sources of PM include combustion (from vehicle engines, industry, wood and coal burning), as well as through other pollutants reacting in the atmosphere. 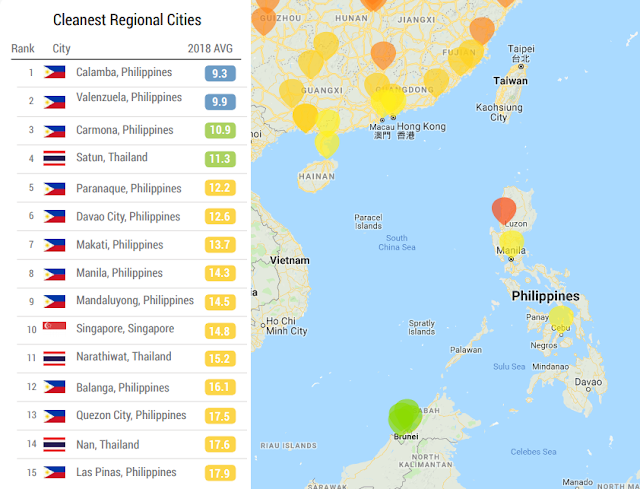 The Philippines placed in moderate rating under the Air Quality Index (AQI) with an average of 14.6µg/m³ of PM2.5 concentration. The Philippines ranked 48th among 73 countries in Southeast Asia with the highest particulate matter in the air. 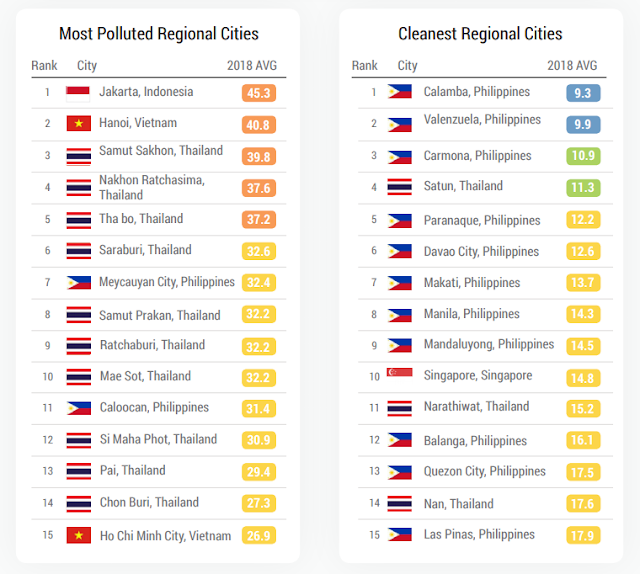 At least you have still eleven places in the Philippines to choose if you are looking for the cleanest air to breath. According to the data of 2018 Air Quality Report from Switzerland-based IQ AirVisual and Greenpeace, Calamba Laguna and Valenzuela City as the top cities in Southeast Asia with an average of 9.3 PM2.5 last year.